I was on a newspaper today - the Oriental Daily, a local Chinese newspaper. 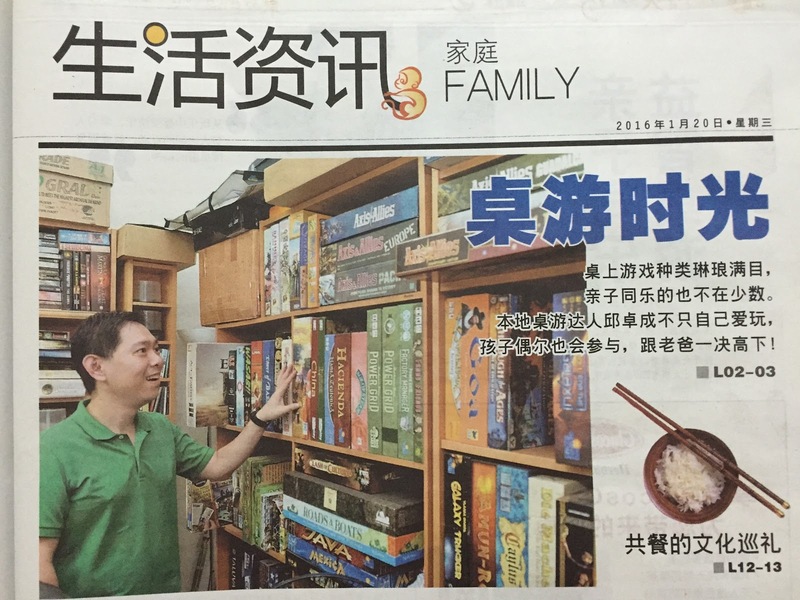 There was an article on boardgames, children and playing boardgames as a family activity. 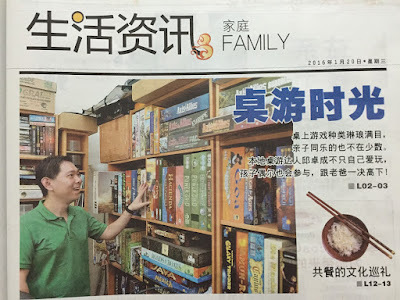 The reporter contacted me via my Chinese boardgame blog, and he interviewed me last Thursday. He asked me to recommend some games suitable for children. 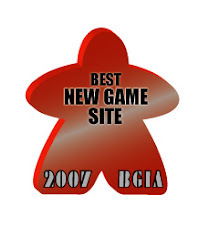 I picked from among the games I own. What do you think of the choices? Here's the link to the article at the Oriental Daily website. You may be able to use Google Translate to translate it into broken English. The printed version is below. Ha ha... thank you thank you.